Highbury & Islington station is a London Underground and National Rail station in the London Borough of Islington in north London. 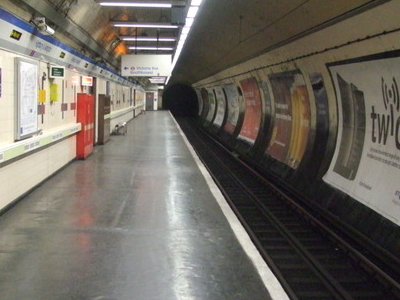 It is served by the Victoria line, London Overground's East and North London Lines and First Capital Connect's Northern City Line. On the Underground Victoria line the station is between Finsbury Park and King's Cross St. Pancras stations. The station is in Travelcard Zone 2. To allow new four-car trains to run on the London Overground network, the North London Line between Gospel Oak and Stratford was closed between February and May 2010 while a new signalling system was installed and 30 platforms were extended. 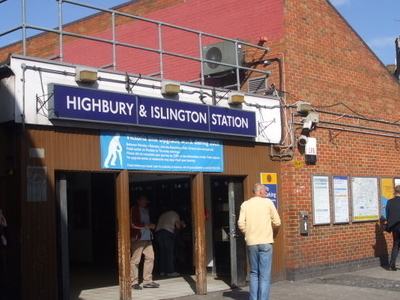 During this closure, the Highbury & Islington station ticket hall was extended and step-free access installed to all of the London Overground platforms. 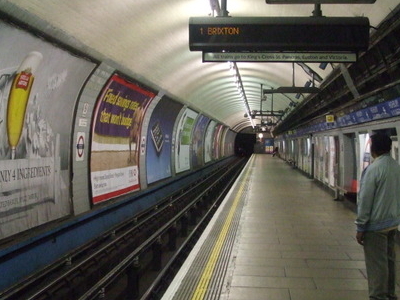 The North London Line reopened on 1 June 2010; however, the East London Line platforms did not open until March 2011, whilst the Western Curve was reinstated, linking the station to Dalston Junction and the rest of the East London Line. Here's the our members favorite photos of "Metro Stations near London Borough of Islington". Upload your photo of Highbury and Islington Station!